Mary Jorjorian in Love (2015) is a novel based on actual persons, places, and events. This is a romantic drama set among Armenian immigrants in March 1921, Jacksonville, Florida. Mary is a New York transplant, twenty years old, living with her older sister and brother-in-law. And, to no one’s surprise, she has found herself in love with family friend and housemate, Daniel Eliseian. Daniel is a 26-year-old tailor, a talented violinist, and kindred spirit for Mary. But life is complicated. And feelings aren’t always expressed clearly. So, even more suddenly than she’s fallen in love, Mary finds herself heartbroken. The misunderstanding takes place among friends, family, and colleagues, who are trying to find their places in life, love, and career. Sold through Amazon; the paperback edition is also available from Blurb. Actually … Mary Jorjorian in Love is about to become a five-part series. Part Two is anticipated in early 2018. Parts Three, Four, and Five should arrive approximately every other year, until the whole saga is reassembled into a single big romantic door-stopper, sometime around 2025. 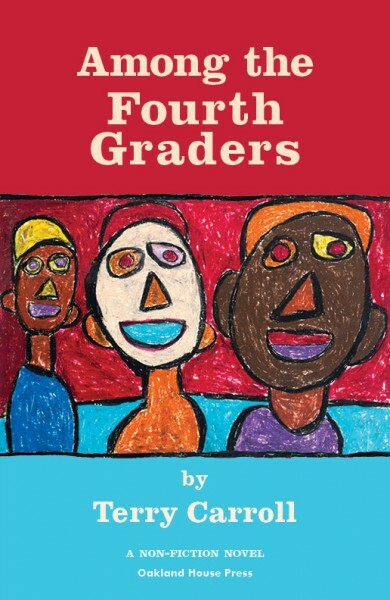 Among the Fourth Graders (2013) is a non-fiction novel. Set in a San Francisco elementary school, it depicts a year-in-the-life of a fourth-grade class, told by a volunteer classroom assistant (“Terry”) who has entered the social world of nine-year-olds. It is a humorous and poignant book, driven by dialogue, which focuses on the lives and families of the children, with a large ensemble cast. The kids are faced with life’s many tests each day, most of which they manage with the ingenuity of necessity. And yet they and their school are ultimately declared “failures” when faced with the big state standardized exam at the end of the year. But, of course, they aren’t failures, and in this laugh-through-your-tears book you come to know these children, their personalities, and their strengths and weaknesses intimately well in an active present-tense narration. Many readers are describing it as a compelling page turner. The story ran for a year in weekly episodes (2011-2012) in blog form, and there found a small but wholehearted readership. It is now presented in its full 392-page form, in hardback ($16 list), paperback ($13 list), as well as in e-reader formats for the Kindle ($1) at Amazon and the Nook ($3) at Barnes & Noble. Relationships (Oakland House Press, 2008) is a photography monograph. Featuring selected images from 1977 through 2007, it is guided by the title’s theme, representing the core of my photo art. As such, the pictures are in black-and-white, mostly of people found around the world in small moments, un-posed, often lightly humored, with a humane touch—reminiscent of the warm style that dominated mid-20th century photojournalism. Through the course of the 137 photos Relationships takes the viewer on an emotional journey of wide-ranging interactions—between individuals and their environment—toward a convincing argument for the simple good. Produced in collaboration with the renown Steinhour Press of Vermont, it is a beautiful work physically, in addition to its content. Available only in limited edition (750, each numbered and signed) hardback ($35 list), with reduced pricing at Amazon. A full online preview version (in PDF form) can be viewed here. Terry Carroll Photography (here) is an online photo archive & gallery. 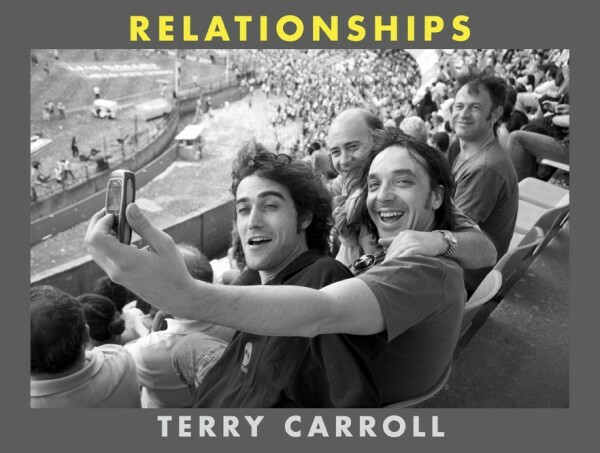 It features the best of and representative selections from my non-commercial black-and-white photography (as featured in Relationships, Amateur, and my line of TerrysPictures postcards). With images dating back to 1975, and from around the world, it is a substantial collection of hundreds of photos in a uniformly distinctive personal style, presented thematically, and hosted beautifully by VisualServer.com. Oakland House Press (here) is my personal publishing outlet. As a do-it-yourselfer, who loves graphic design, typography, and many of the technical and craft aspects of book publishing, I have made for myself a means of getting my work out into the world in the permanent legacy of books on shelves, with the classical style I prefer. With it, I have published my photo monograph (Relationships), my novels (Among the Fourth Graders and Mary Jorjorian in Love), as well as my own line of greeting cards (TerrysPictures). I have also published a highly-regarded drum instruction book that I collaborated on as designer and editor: Steve Bowman’s Groove Control. As Oakland House Press, I contract-out my printing, binding, and distribution to respected entities (such as Steinhour Press, BookMasters, and Fotofolio) which set standards of production and service of for the publishing field (not to be confused with consumer-level print-on-demand operations). With Oakland House Press, I may not have a big corporate entity behind me, but I also don’t have a big corporate entity behind me.